At first, it starts as a benign thought. Something like “What is existence?” or “Is the universe subjective or objective?” Then it starts getting abstract and weird. “How can I hear my own thoughts?” “Am I now the same person I was when I was young?” “What is this planet, really?” “Am I really in control of my thoughts?” Then, lo and behold, you are caught up in a cascade of scary thoughts about whether you are real or someone’s imagination, and then suddenly, the tables turn and you terrifyingly begin to wonder whether other people really exist or not. Existential thoughts during a depersonalization episode are no joke. They rattle the very core of your being. No one knows where these thoughts come from. Suddenly, you feel like you are peering through a crack in the universe and you do not like what you see. You feel like you are losing control with these questions. I have always been an inquisitive child. Since an early age, I’ve been fascinated with the universe. 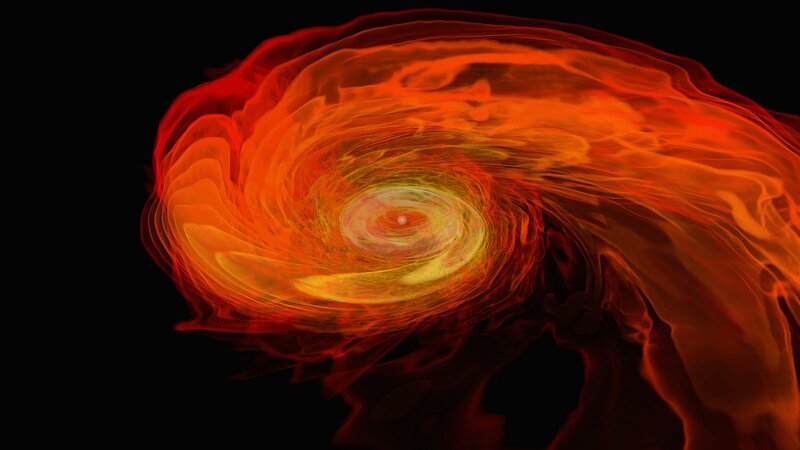 I’d watch a lot of documentaries about black holes, supernovas, and quantum theory as a kid. I really liked to learn and know more about the universe. Then came the age of introspection when I was in my early twenties. I got interested in mysticism, spirituality, philosophy, and psychology. That got me thinking more about our inner worlds. The more I read these topics, the broader my overall worldview became. It was as if I was looking at existence from a higher perspective, all zoomed out. It made for a richer life. I ventured more and more into the mysteries with nothing but curiosity. Fear was nowhere close. The words anxiety, panic, or insanity were never ever in my lexicon. 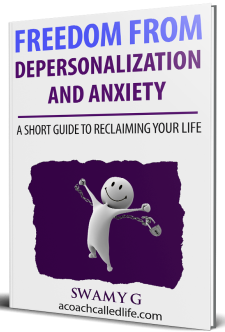 Then, over a few quick months, I was overcome with anxiety and became depersonalized. Everything changed in a matter of months. I have written at length about my depersonalization story before; please read it if you are interested. I found myself becoming obsessed with certain kind of questions. Those that dealt with existence became the center of my thinking. But, by now, I was in the grips of extreme fear. You see, previously, it was I who had to exert control to think of such deep questions. But now, it seemed as if that they were coming at me from every corner. It felt like I had no idea who was in charge of coming up with all these questions. Needless to say, I was really worried about my own mental sanity. Every morning, I would commute to work in absolute dread not knowing what existential question would “attack” me that day. Once, when I was all by myself in the bathroom at work, I looked at myself in the mirror and suddenly the question “How do I exist?” popped into my head. It sent shivers up my spine so badly that when I got back to work and had to meet with a colleague of mine, I was terribly shaking inside. I tried my best not to show any discomfort on the surface. Then the questions multiplied. They came from all directions. All day long, my thoughts were about existence, other realms, demons, hell, and plenty of other uncommon, bizarre topics. The existential questions and bizarre philosophical thoughts that one encounters when depersonalized can give any philosophy graduate a run for his or her money. It turns any commoner who was never ever interested in philosophy into somewhat of a mad scholar, constantly questioning everything including their own selfhood and the nature of reality in which they exist. This can be really troubling to someone who has no background in such thinking. All of a sudden, one may feel like he or she is on the brink of insanity. Such constant obsession with deep but unusual thoughts can lead one away from normal life. It can make one afraid of being alone, even in the comfort of his or her own room. No one really understands why depersonalized people suffer from a deluge of philosophical and sometimes nonsensical thoughts. But we do know one thing: we are not alone in experiencing this phenomenon. You can rest assured that thousands of people are having the exact same thoughts as you and don’t know what to do with it. You may ask, “How is that supposed to make me feel good?” to which I can only say, “I am not sure.” You can try finding solace in the fact that what you thought was a strange syndrome that is only happening to you is actually something that is shared a large number of people. Existential and strange philosophical questioning is one of the hallmark symptoms of depersonalization. What really changed my relation to these questions was that, over time, I found that none of my worst fears (losing my mind or dissolving into nothingness) came true. When I became assured of my own safety, I followed my intuition and began inching closer to these questions instead of trying to run away from them. When I did that, suddenly the fear started diminishing. I remembered how inquisitive I was as a child and how I would often want to find out more about the universe and nature, without worry or fear. I tried to make use of this curiosity and started playing with these questions. I told myself it was okay to have existential questions like “What exactly is reality?” or “Who is thinking these thoughts?” I realized that though these thoughts were stuck in my head, they could never harm me. I began looking at them as some sort of a gift. A gift that a few of us have been given, even though we did not ask for it. A gift that enables us to ask the deepest questions about nature, reality, and selfhood. The great mystics of ages past and the most prominent scientific and philosophical minds of current times have all asked the same questions or toyed with ideas similar to what goes through the mind of a depersonalized person. Many people spend years practicing meditation or indulge in long hours of reading to achieve the state of reflection and thinking that we have been offered free of charge. Yes, it troubles us. These questions and thoughts can torment us, but only if viewed as something harmful. Once you realize that your mind and sanity are safe and secure, you can start to accept these deep, existential, philosophical questions and go towards them instead of running away. We can engage with them to the extent we feel drawn. It helps us broaden our understanding of the world and about ourselves. By considering them as a gift and examining such questions, we can turn these fearful questions and insights into a potential tool for our self-actualization. Some say depersonalization is just enlightenment’s evil twin. I don’t think that’s far from the truth. Ever had ‘I’m living in a simulation’ thought? It’s really dam scary. Help. Hi Tom. I sure have. It is an intense experience. Scary, confusing and isolating. But it passes sooner or later. Send me an email if you would like to talk more about it. Sorry for some mistakes. English is not my mother language. Last 2 months i’ve been feeling strange. I’m not sure is it a dp dr disorder or what. I’m so scared. I’m having OCD intrusive thoughts since i was 12 and now i’m 26. I always tried to fight it with some rituals (words, moves like some kid of defense mechanism) but i’ve been trying to break free sooo hard. I’ve never visited doctor and. Anyway as i said 2 months ago i was thinking about thought and how not to react to bad ones and i kind of became obsessed with them. I was thinking about them all the time and i couldn’t be relaxed, in fact all that made me even more anxious and nervous.. Then i realized that i can’t fight them and that they are in out heads all the time and became scared and couldn’t think easily. Then one day i started having that kind of stupid questions like what are thoughts and how they come to us. And one day everything became strange to me. My sister face, people on the street…Stupid questions came to my mind like what are we? why are we looking like that? I felt like i fell from the other planet directly on Earth. I can’t describe that awful feeling! I felt like i’m going crazy! Than i started having that philosophical questions/thoughts which no one can answer (about life and world and people…). And i’m aware of that but i just can’t stop them. I also can’t talk like i did before because it feels different. It feels like i’m observing everything i do and every word i say or someone says. Like i’m questioning what does that word means, how funny that word sounds and it drives me crazy! I can’t do anything like before! I feel terrible and something chokes me. I don’t know if i described it well but i hope someone understands what i mean. Hello Ann, those are very much the symptoms of DP/DR. I experienced most of what you are going through, including OCD questions such as “where do thoughts come from?” or thoughts like “people’s faces look weird” etc. At first, it’s ok to be scared about this experience. It is definitely something only a very few percentage of the population experience. The fear is normal. But through time, you must learn not to fight these feelings since that fighting keeps the fear cycle going. I’ve detailed in other blog posts how to accept anxiety and not fight it, I hope those posts help you out. May I ask you how long did it take for you to get over with those thoughts. For me after 5 month of crazy depersonalization and derealization. I felt like my senses are back, just those thoughts, still feel like I can do nothing about it. I get asked this question a lot and I understand why people want to know how long it takes for a complete recovery. But I don’t share my timeline since it is very different for everyone. Comparing yours to mine will only make you worry more. Rest assured, if you follow advice on this blog and just accept the DP and continue to live and engage with life, you will recover fully eventually. Hi , thank you for this article. It really reassured me. The thing is even though i know those thoughts can do no harm, they trouble me so much that everything feels unreal; even like i’ve never seen humans before. It makes so little sense to me that we are here and live in reality that i start feeling unreal. It is so scary. I dont know what to do anymore I cant enjoy anything. What’s the point of being alive if you can’t live???? This is what I asked myself day in day out, I felt like and still do feel out of range with my self as if I was living life on a tight rope. I often thought will this drive me to take my own life ? Yesssss that’s how bad it gets for me anyway ….. but I think of my children my baby’s and I remember what holds me down …. It really is frightening and depressing. Avicii took his life suffering from this. He may have suffered from DP symptoms but I do not think he decided to end his life because of these symptoms. He had other problems. I can’t be 100% sure but I think that he felt his life lacked meaning. He was suffering from depression more than DP/DR. Hey, I think I have this. I think DP and those existential thoughts are the reason I spend so much time on electronics (I.e. my phone, computer). It really helps cope with my these “attacks” it sort of shelters me from the reality and it keeps me in the mindset that I’m okay. Whenever I get these thoughts I don’t feel like life is real and then I start thinking about death which scares me. Anyways I’m still researching this so I may or may not have it but it sounds very similar.